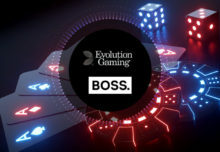 Snowflake Computing, the only data warehouse built for the cloud, has announced that online gaming company iSoftBet is using Snowflake’s cloud data warehouse to become more data driven as part of its digital transformation strategy. Through this approach, iSoftBet now has better insight into its online gaming portfolio and audiences. This enables them to launch new functionalities, such as real-time leader boards, insights on games, and running tailored marketing campaigns for customers. Launched in 2010, iSoftBet is an online and mobile casino games supplier, headquartered in London . Boasting an impressive portfolio of more than 2,600 games across their Game Aggregation Platform (GAP), iSoftBet is one of the largest global online gaming companies. The company produces its own games and works with over 45 other leading gaming providers to integrate their games into its platform. In order to maximise the value of the data generated, iSoftBet has launched a new data & analytics transformation strategy, adopting Snowflake’s cloud-built data warehouse and adding Tableau on top to provide the data visualisation and analytics.